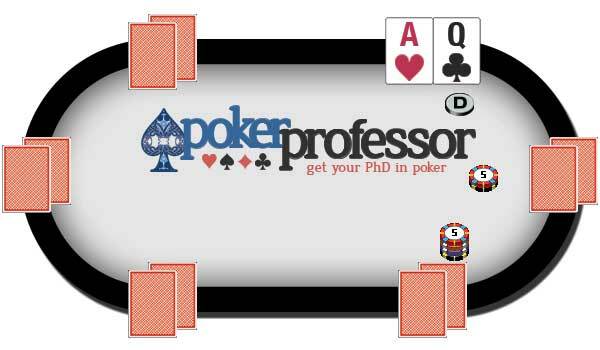 Texas Holdem is the most popular variant of poker and the one we recommend beginners start with. 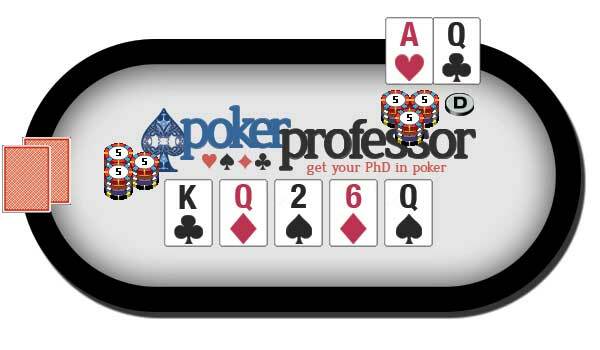 Once you have a good understanding of Texas Holdem, other poker variants are quite similar and will be easier to learn. The object of Texas Hold em poker is to create the best five-card hand using seven available cards. Each player is dealt 2 cards which only they can see and use. There are then 5 cards dealt to the middle of the table which are community cards which everybody can see and use. Once the game starts an imaginary dealer is assigned. Obviously with online poker the computer does all the dealing automatically but this nominal dealer is important as it indicates who posts the compulsory bets (known as blinds) before each hand and it also indicates who is first to act in each betting round. The current dealer is indicated by a disc marked with a “D” known as the dealer button. At the end of each hand the dealer button moves along to the next player to the left of the current dealer and continues to move clockwise after each hand is finished. In Texas Holdem there are two compulsory bets that are made before the start of each hand. These are known as the “Small blind” and the “Big blind” and ensures that there are chips to be won in every hand. The player to the immediate left of the dealer places the small blind and the player to the left of the small blind posts the big blind. In No Limit games the size of the blinds is set by the stakes of the table you are at. So for example at a $1 / $2 table the small blind would be $1 and the big blind would be $2. Once the blinds have been posted, two cards are dealt face down to each player at the table, these are known as “hole cards”. Only the individual player can see these cards. Raise – Make a larger bet than the current bet (or big blind). Any other player who wants to continue would then have to call your increased bet in order to carry on. A raise must be at least an increase the size of the Big Blind so the minimum raise would be 2 times the big blind amount. In No Limit there is no maximum to your raise, It can be your whole stack if you wish. Action always goes clockwise on a table. On the first betting round, the first person to act is the player to the left of the big blind. Each player acts in turn until all the players have acted at the table, and the amount put into the pot by each player remaining in the hand is equal. After the first betting round has finished, the dealer places 3 cards face up in the middle of the table – this is known as the “Flop”. The cards in the middle of the table are called “Community Cards” as they are shared by all the players towards making their final hands. Players can now see 5 cards (2 hole cards + 3 community cards) out of the 7 cards to come and should have good idea of how their hand is developing. At this point the second betting round begins. Bet – place a bet which the other players must at least call to continue in the hand. The minimum bet is the size of the big blind. Raise – increase the bet that has been made which the other players must then call to continue in the hand. As in the previous betting round, the plays continues clockwise around the table until all players have called, checked or folded and the amount placed in the pot by each player still in the hand is equal. After the second betting round, the dealer places a 4th community card, face up on the table – this is called the “Turn card”, it is sometimes also referred to as “Fourth Street”. After the Turn there is a third betting round, which operates in exactly the same way as the previous betting round. After the third betting round, the dealer places the 5th and final community card face up on the table – this is called the “River card”. After the River the fourth and final betting round takes place in the same way as the previous round. After the final round of betting, each player still left in the hand can use any combination of the 2 hole cards in their hands and the 5 community cards on the table to produce the best 5 card hand. The player with the highest ranking hand wins the pot. 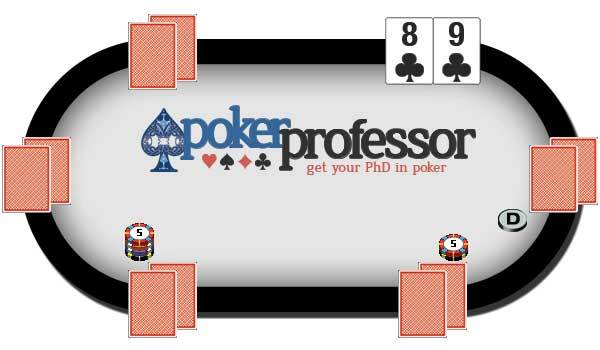 If two or more players have the same value hand then the pot is split between them equally. If you have not already learnt which hand is better than another then please look at our Poker Hand Ranking Guide. Once the hand has finished and the pot has been awarded to the winning player, the game moves onto the next hand. The dealer button moves to the next player on the left of the current dealer, the cards are shuffled, the blinds are posted by the next two players and the cards are dealt again. Where to Play Texas Holdem? 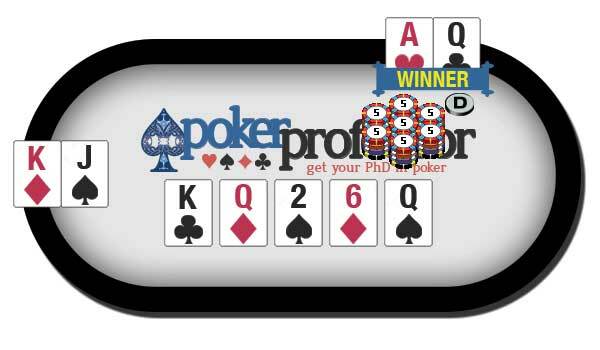 We recommend 888 Poker for a great place to play Texas Holdem. 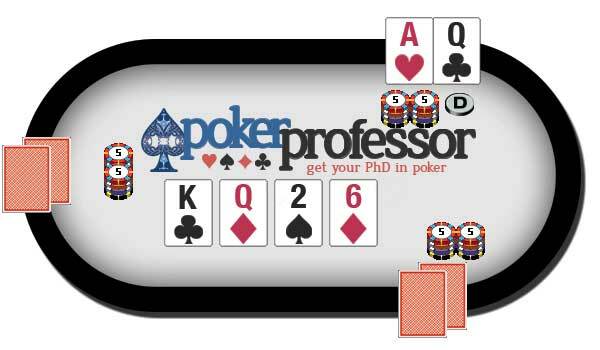 To find out more about them see our 888 Poker Review or to see alternate rooms to play Texas Holdem then see the Professor's reviews in our Poker Reviews section.